By guest contributor Kevin Alexander Watt, TomKat Ranch. 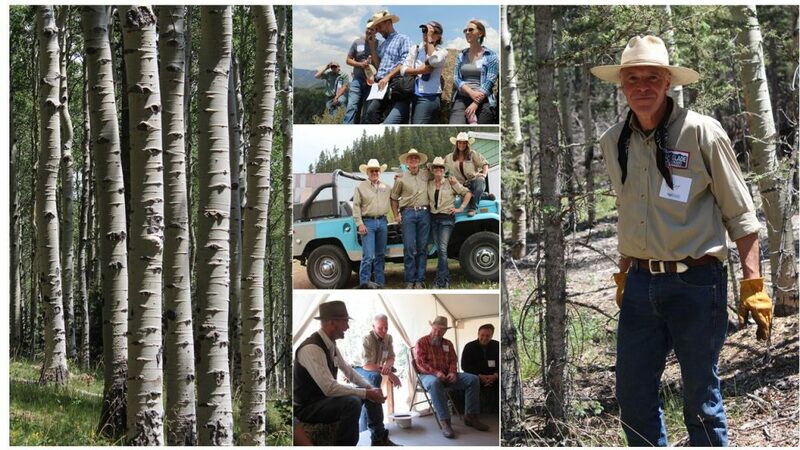 In June, I visited Elk Glade Ranch near Colorado Springs, Colorado during a stewardship tour hosted by the Western Landowners Alliance. Elk Glade Ranch is owned and operated by the Johnson and Hammond families and is a remarkably diverse landscape and operation. The ranch is a beautiful, but challenging, mix of soaring cliffs, dense forests and mountain meadows, and the Johnsons and Hammonds have worked creatively and diligently to care for the land in an ecologically and economically regenerative way. Forest thinning and meadow management are currently the top priorities for the ranch as they have a serious impact on fire risk, wildlife health and livestock productivity. Working with the Natural Resources Conservation Service (NRCS), the ranch has started to selectively thin their most densely choked forests to open them up for wildlife and planned livestock grazing. Thinning has helped reduce fire risk for the ranch and the surrounding community; the costs have been offset by improved hunting success rates and decreased feed costs for the grassfed cattle that graze on the ranch. The Johnsons and Hammonds are an exciting example of how regenerative management and innovative enterprises can help landowners capture the multiple benefits that working lands can provide. 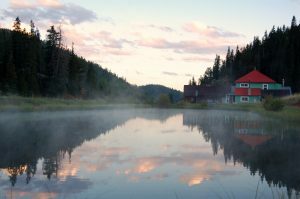 Read the Elk Glade Ranch case study here. This is the second in a series of articles highlighting case studies showing the benefits of regenerative practices on working lands by guest contributor Kevin Watt. Kevin served as the TomKat Ranch Land & Livestock Manager until 2017 and now works on research, outreach and special projects for the ranch.